After Jordan Spieth's shocking quadruple-bogey on the 12th hole Sunday at the Masters, Dustin Johnson was among a handful of players who could have swooped in and snatched the green jacket. Just one off the lead on the par-5 15th, Johnson pulled his tee shot into the trees, setting up a heroic second shot, which he laced through a small opening in the branches and over the pond fronting the green to set up a 20-foot eagle try. Johnson settled for birdie, parred the par-3 16th, but then doomed his chances with a crushing three-putt double at 17. 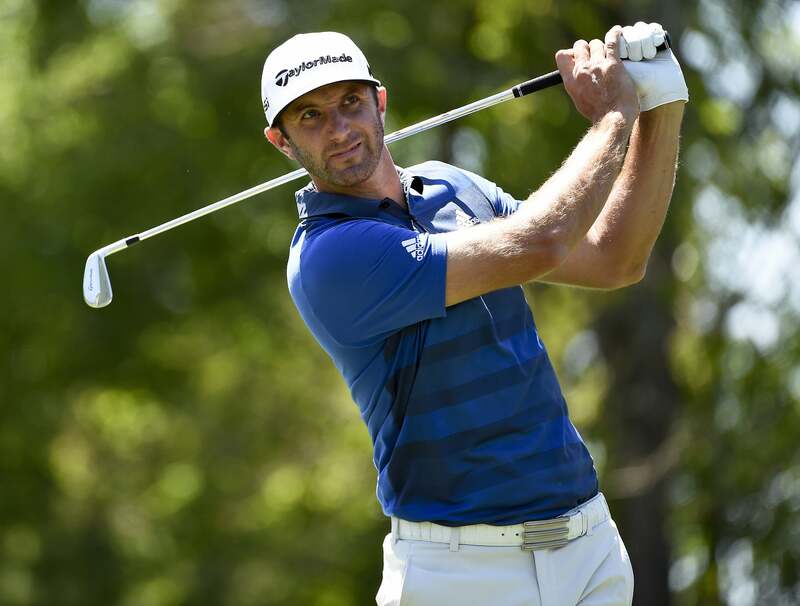 Johnson spoke with GOLF.com about coming up just short in yet another major; his plans for the 2016 U.S. Open at Oakmont, where he will be seeking redemption for his disheartening finish at Chambers Bay last June; and his secrets for staying in shape. After birdieing 13 and 15 on Sunday at Augusta, it looked like you might be the guy. What ultimately held you back? I just didn’t make the putts. I hit the shots [under] pressure; I just didn’t make the putts. It happens. I don’t know how [else] to explain it. When Spieth made 7 at the 12th, which suddenly rocketed you into contention, did you know what was happening? You hear it and you see the leader board so I knew. It was one of those [moments] where I was standing on 15, and I pulled my drive left. Knowing [Spieth's troubles], that’s why I hit that next shot the way I did, through the trees and on the green, because I knew I had a chance to win. It’s tough. It was tough all week to make putts out there. Those greens are tricky. The U.S. Open at Oakmont is less than two months away. What's your plan for a long, tough course that produced a winning score of five over at the 2007 U.S. Open? I’m going to try and get up there before the U.S. Open and maybe play two rounds to get a feel for the golf course and to get little bit more practice on so I don’t have to work so hard on Monday, Tuesday, Wednesday when I get there. Many veteran players have scar tissue from past Opens at Oakmont. But you've never played there. Could coming in fresh in some ways be an advantage? It doesn’t really matter. You’re going to have to play good golf, period. Either way, whether I’ve played the course a bunch or haven’t played it all, I usually can get a game plan the first time I play a course. I’m confident in that. If my game’s there, I’m going to be there on Sunday with a chance to win. Fitness and sports science have become a big part of pro golf. How have you seen that part of the game evolve since you joined the Tour? There were always a few guys back in the day doing a little bit of fitness. But if you look at the caliber of the golfers that are coming out now, the body types are all -- they’re taller, they’re more athletic, everybody is fit. Most guys on the Tour have some kind of fitness regimen. Before, there were a few guys that did it. Pretty much all the guys are in the gym now. Some analysts contend that the strenuous workout plans of players like Tiger and Rory are actually hurting those players. Do you ever worry that you're putting in too much time in the gym? No, I’m not worried about that at all. I’ve got a trainer, I work with Joey D [Diovisalvi], so I’ve kind of put that in his hands. The more I work out, the better my body feels, the better I feel. I think it’s doesn’t only help in the physical part of the game, but it helps in the mental part of the game, too. How does your swing coach, Butch Harmon, feel about your fitness routine? Oh, he’s all for it, especially if there’s something in my swing that I can help in the gym. He’ll work with Joey on things that I can do in the gym to strengthen or help my golf swing. Now teachers and trainers are working together to form plans to help the golf game, whether it’s to help your body or to help your swing. You just announced a new partnership with the sports drink BodyArmor. Why should golfers drink it? I work out and play golf, so being hydrated is very important. Drinking water all the time gets old, so it’s nice to have something with some flavor and something that’s actually healthy for you to drink. To me, BodyArmor covers all that. It’s got great ingredients in it, no artificial colors and no artificial sweeteners; it’s all natural stuff. To me, it’s by far better than anything else that’s out there. One of the things they say with fitness is you can’t out-train a bad diet. How, if at all, have you changed your eating habits? To me, after you work out, you don’t want to go eat just terrible food. The more I work out, the more I want to eat well -- not that I don’t go eat cheeseburgers and fries, because I definitely do. But I try to be as healthy and eat as healthy as I can on a regular basis, but not go overboard. Does your fiance, Paulina Gretzky, help keep you in line? Yeah, though she doesn’t have to worry about [keeping fit]. Oh, fast metabolism? She’s one of those people? [Laughs] Yeah, she is. I mean, I’m fine, too. I don’t have to try too hard, but I do, because the healthier I eat, the better I feel, and the more I see results in my training.